Building on the highly acclaimed sixth year of the national Hispanicize event, organizers today unveiled dates, changes and the agenda for Hispanicize 2016. 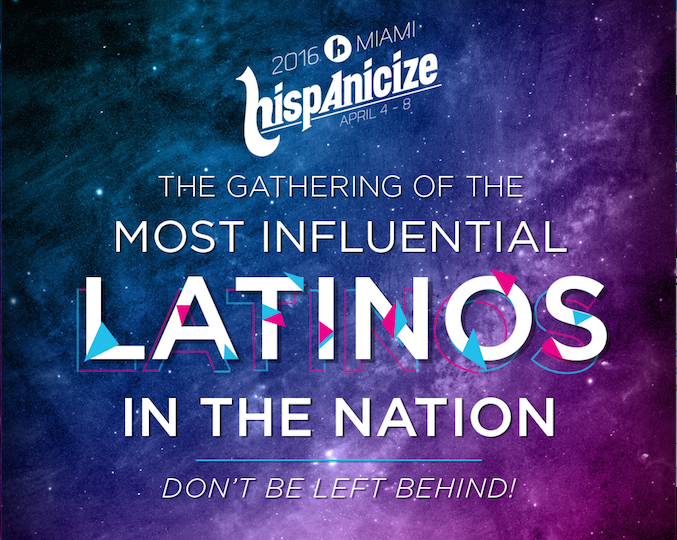 Hispanicize 2016 Week (www.HispanicizeEvent.com), the seventh annual and most ambitious Hispanicize event yet, is scheduled for April 4-8 in downtown Miami’s InterContinental hotel. A production of Hispanicize Media Group, LLC, Hispanicize 2016 is expected to host more than 3,000 Latino trendsetters and newsmakers for a five day multi-industry program that will feature fully dedicated content tracks for digital creators, journalists, marketing executives, tech entrepreneurs and entertainment industry executives. Below are some of the biggest changes and additions to a 2016 program that is expected to once again be the premier U.S. Hispanic national launch pad for new ideas, products, services, celebrity endorsements, music albums, films and more. Latino Influencer Awards: One of the boldest moves of Hispanicize 2016 is the re-branding of the highly successful Tecla Awards to the Latino Influencer Awards (LIA’s). The new name better encompasses the evolution of the trendsetters awards program to include additional categories, a major celebrity-filled red carpet, top musical performances, event live streaming and much more. Latina/Latino Digital Content Creators Retreat: Curated by the digital content creators network DiMe Media, the first day of Hispanicize 2016 will kick off with an all-day, intimate, uplifting, creative and educational retreat that is tailor-made for all Latina and Latino digital content creators. Hispanicize Music Festival Grows: In 2015, Hispanicize featured top musical performances by Chino y Nacho, Luis Fonsi and Gente de Zona, among others. In 2016 the Hispanicize Music Festival will up the ante as it continues to expand the event’s musical footprint with its biggest music activations yet. More Renowned Speakers, Sessions and Larger Stages: Hispanicize attendees have spoken and as a result of feedback they provided organizers Hispanicize 2016 will feature more keynotes and out of the box talks and sessions with top Latino – AND non-Latino – speakers. Continuous use of the hotel’s main ballroom will also permit organizers to create some of the biggest surprises event attendees have ever seen. Major Expansion of the Hispanic Journalist Showcase: Capitalizing on the success of its three-year partnership with the National Association of Hispanic Journalists (NAHJ), the Hispanicize event is partnering with the NAHJ to host the first annual NAHJ convention for Spanish-speaking journalists WITHIN Hispanicize. In addition to a weeklong track of sessions devoted to Spanish-speaking journalists, the 2016 Hispanic Journalist Showcase will also host English-language sessions on media entrepreneurship and social media in the newsroom. 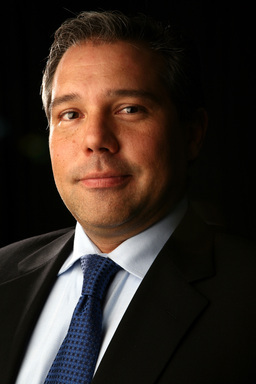 Prominent Hispanic journalists will also participate in numerous sessions outside the journalism track. Expansion of the Hispanic Market Industry Showcase: Hispanicize 2016 will host even more sessions and industry townhalls for brands and marketing agency professionals to present their latest thought leadership, case studies and research. 2016 Election Townhall: Hispanicize has always been apolitical and fiercely independent but given the high stakes of the 2016 election organizers will make a concerted effort to provide all sides of the political spectrum together for a rare opportunity to address the nation’s largest gathering of Latino cultural influencers. Among the popular programs that will return for Hispanicize 2016 are the Positive Impact Awards, the Latinovator Awards and the Hispanicize Film Festival. 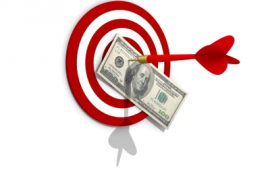 To submit a stimulating session, speaker or presentation for the event, click on http://www.hispanicizeevent.com/about/session-submission. The submission deadline is October 1, 2015. Hispanicize 2016 will only showcase ideas that are fresh and have not been recycled from other conferences.